Pioneers in the industry, we offer steel screws, alloy fasteners, non ferrous fasteners, steel nuts and stainless steel bolts from India. Steel Screws are the most common type of fasteners used in fixing or fitting various products. The screws are widely used in joining of pipes, valves and in other applications. They are supposed to be one of the most versatile and powerful fasteners. 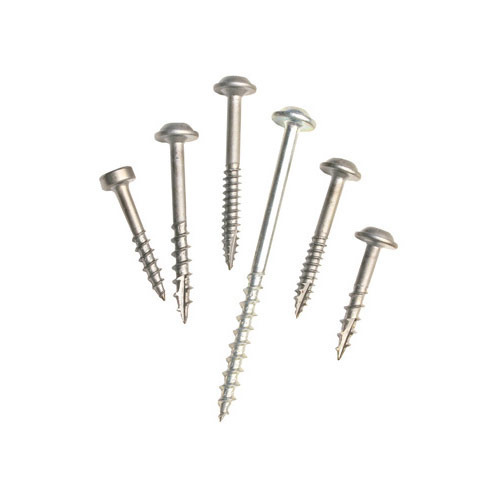 The basic purpose of a screw is for holding all sorts of things together, which include wood, plastic and metal. There are different varieties, made of different materials and in different sizes, that have been developed to maximize efficacy for particular applications. There are hundreds of options when you consider that screws come in different diameters and lengths. Range: M10 to M100, Length upto 5 Metres. Grades:Stainless Steel: ASTM A 182 F - 304, 304H, 304L, 304LN, 316, 316H, 316L, 316LN, 316Ti, 309, 310, 317L, 321, 347, 904L, etc. 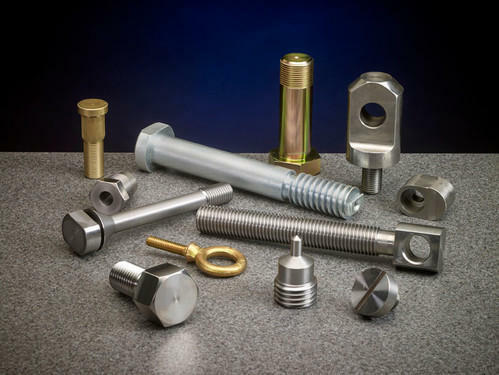 Our range of Alloy Fasteners are made as per customers drawings and specifications for a wide range of applications in the oil, petrochemical, power, thermal power, heavy and light industries. Standard sizes are available in ready stock. Materials used are Mild Steel, Alloy Steel, Stainless Steel and Brass with appropriate coating. Our range of Non Ferrous Fasteners are available in metals like copper, brass, aluminium, phosphorus bronze, gun metal, lead etc. Clamp (U, J, L), Grab, Rivet (Pop & Hollo), Cutter Pin, Nails etc. 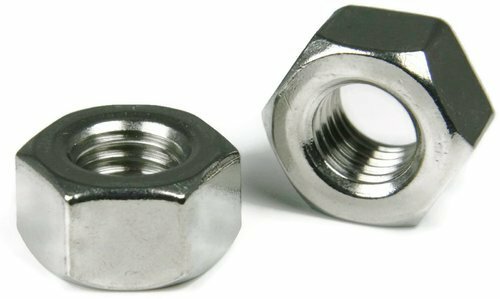 We are engaged in offering wide variety of Steel Nuts such as hexagon nuts, hexagon coupling nuts, hexagon thin nuts, square nuts, hexagon castle nuts, self locking nuts, and hexagon domed cap nuts. Fabricated using quality tested stainless steel, duplex steel, monel, inconel, hastelloy, titanium and nickel alloy, these nuts are used in varied industry applications. Grades: Stainless Steel: ASTM A 182 F - 304, 304H, 304L, 304LN, 316, 316H, 316L, 316LN, 316Ti, 309, 310, 317L, 321, 347, 904L, etc. 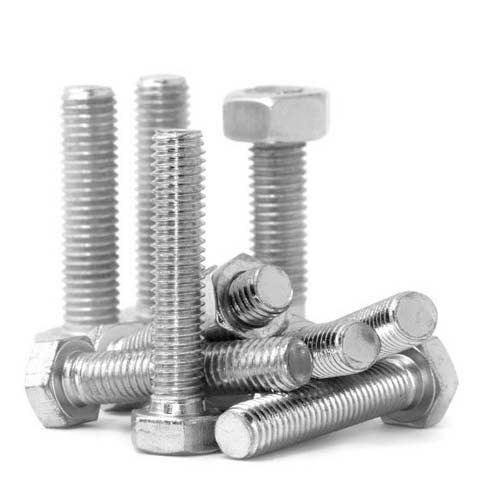 Our range of Stainless Steel Bolts are offered in various forms such as Hex Head Bolts, Mushroom Head Square Neck Bolts, T-Head Bolts, Wing Screws, Eye Bolts and Lifting Eye Bolts. Developed using quality stainless steel, duplex steel, monel, inconel, hastelloy, titanium, and nickel alloy, these bolts are acclaimed for dimensional accuracy and corrosion resistance feature. Our range is available to our clients at competitive price.